L3 Micreo has developed custom optical products used in EW systems and in cases where the coaxial cable losses at frequencies up to 40 GHz need to be avoided. The benefits of lower weight, easier installation and better EMC/EMI performance are causing many customers to introduce optical links. 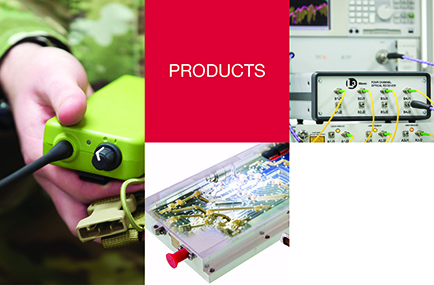 L3 Micreo has completed a number of build-to-print contracts in cases where specialised skills and facilities are needed, often with a rapid response to enable the fast deployment of products.